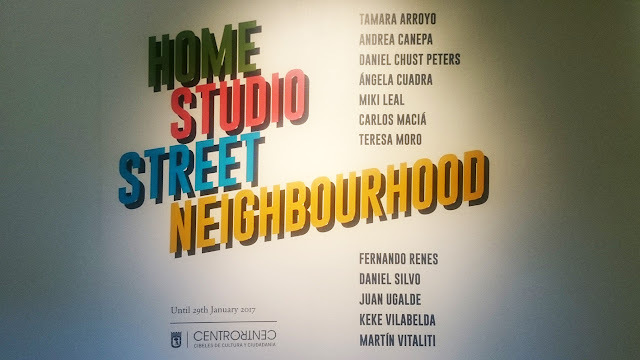 Home-Studio-Street-Neighbourhood aims to reflect how today's artists live and work, relate to urban surroundings, and how the city influences their work. CentroCentro, Madrid. 30 Sep 2016 - 29 Jan 2017. Participating artists: Tamara Arroyo, Andrea Canepa, Daniel Chust Peters, Angela Cuadra, Miki Leal, Carlos Maciá, Teresa Moro, Fernando Renes, Daniel Silvo, Juan Ugalde, Keke Vilabelda, Martín Vitaliti. Home-Studio-Street-Neighbourhood from ArtworldNow on Vimeo.